My first meeting with the C1532 access point tripped me somewhat. Due to the fact that this outdoor access point is mesh capable, it differs somewhat from your ordinary indoor access points. 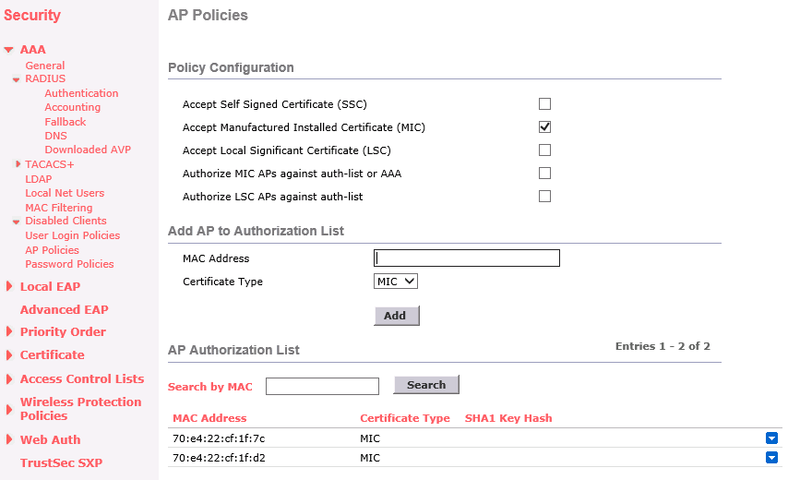 In order to authorize an access point, you need to go to Security > AAA > AP Policies and add the access point as show below. Thank you very much Gos, this saved my life. I was trying to join a new 1542i outdoor AP for almost an hour with no success. Great post. Thank you very, very useful.